Finding a good time to interview candidates on-site has traditionally meant days of back-and-forth emails. Experts in the recruiting industry have found that the best candidates are off the market in as little as 10 days. Therefore, having a tool that eliminates those extra days of correspondence is super valuable. Filtered comes with a scheduling tool which is easily accessible from each candidate’s interview review page. Reviewers can propose multiple time options for the candidate to choose from. Should a candidate pick “none of the above”, the reviewer will receive a notification within seconds. Both parties will be notified one day ahead of the meeting date. Furthermore, should the reviewer have additional information that they need to send to the candidate (such as directions or things to prepare) they can attach those notes as well. After submitting the interview, the candidate will have a designated page where they can review their profile or see review updates. We understand that the candidates’ experience is very important to your organization’s appearance, so we do what we can provide candidates with the latest updates. 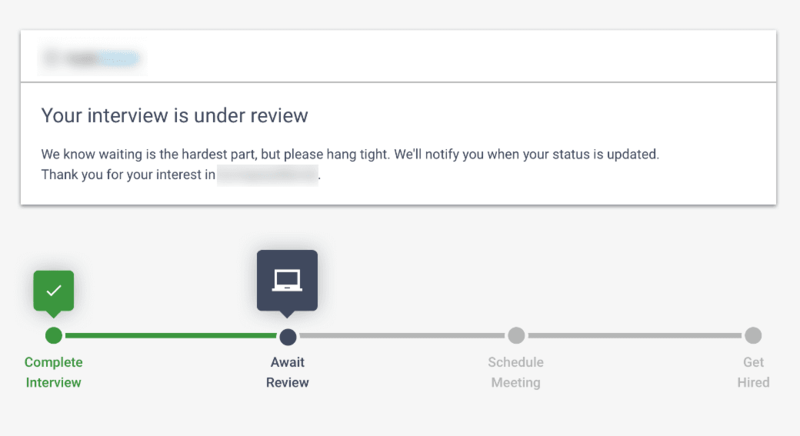 Candidates receive notifications if they have been moved further in the funnel, and will receive scheduling time options after the reviewers send those invites.